This week Sicily celebrates its autonomy from Italy. 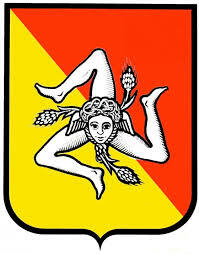 Sicily is a region of Italy with a special status, it has been given autonomy and has its own Parliament, made up of 90 members, who pass laws regarding its schools, agriculture and tourism. Since 2001 Sicilians have been able to elect at first hand the president of their government, who remains in office for 5 years. In spite of this autonomy, however, Sicilyâs development is still very behind the times, because of deep-seated historical and political motives, even though there is an enormous potential in the tourist industry that could bring growth and wealth to all Sicilians.